PAGASA Pres. STC stops by at Hewlett-Packard/iRipple e-Bus. Intl.’s Booth at the 4^th Retail Solutions World Asia held at Singapore’s Suntec Exhibition Centre. 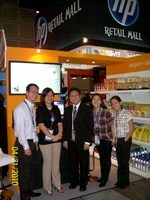 With him are exhibitors Bernard Chua of HP and (L-R) Julie Cruz, Julie Keng and Meanne Unson of iRipple. 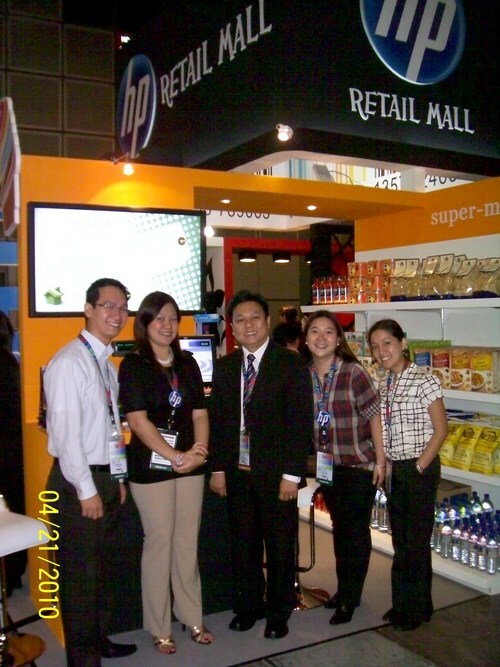 The Filipino software company offered their Barter System (Supermarket Edition) to international visitors.